Special Containment Procedures: SCP-2790 is contained in a Class 2 Deep-Water Aquatic Containment Tank in Site-54 where it cannot be touched. As of this time, personnel are freely invited to splash around and play with him. SCP-2790 should not be touched, and must always be hand-fed. All forms of physical contact with 2790 are allowed and encouraged except touching. Rub his belly while feeding him, especially while feeding him treats - he loves treats. Hug him before and after playtime. Personnel that do not wish to make contact with 2790 should be coerced into playing with him. SCP-2790 must be loved with lots of care. Poke him and prod him and hug him and squeeze him and rub against him and play with him but don't touch him. Personnel that touch 2790 will be severely punished. SCP-2790 should be periodically transferred to other Sites as part of a pilot program to improve general Foundation morale. While he is away on outreach, personnel feeling lonely should massage themselves, since their skin will make them feel just like him. 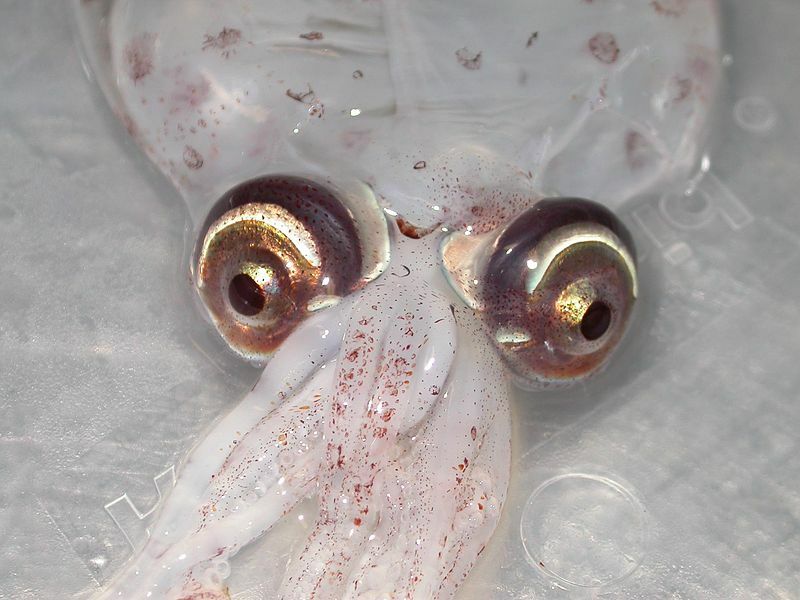 Description: SCP-2790 is a male Atlantic cranch squid (Teuthowenia megalops). He was initially recovered during a raid on the curio shop "Curios of the Worlds", feeling lonely and sad in a tinted glass tank labeled "Ignore". It was unclear why anybody would want to hurt 2790 or make him unhappy. SCP-2790 is endearing, snuggly, sociable, easy-going, and enjoys playing games. All forms of physical contact with 2790 except touching are encouraged. For example, SCP-2790 can be stroked, cuddled, petted, and caressed. He especially loves cuddling. If he is lonely for too long, he will try to breach containment to find his friends. Close physical contact is the optimal method to keep him contained. Drs. Romero and Srinivasan lead the research on maintaining skin-to-skin contact with 2790 for extended periods of time so that he doesn’t feel lonely. After debate, the proposal to graft skin from SCP-2790 onto all personnel has passed, citing the ability to be connected with 2790 without being in contact and the smoothness, softness, and loveliness of his skin. Junior Researcher Romero collected a sample of skin from 2790 after horsing around with him. All Biotechnology labs in Site-54 have been directed to grow clone cultures of cute skin from Romero's samples. As of 3/14/██, 189 personnel have volunteered for grafting trials. Although 72 had to be rejected for health reasons, 117 personnel were selected to test the initial grafts by replacing the uglier, calloused skin on their hands with 2790's perfect, supple skin. As of 4/25/██, enough supple skin has been grown for the grafting procedures. All graft surgeries proceeded smoothly with no complications. The test subjects have been given immunosuppressant medications to minimize rejection of the perfect skin. As of 8/03/██, only 87% of test subjects had suffered complications from the grafting procedures, which were relatively minor: specifically, unexplained rejection of 2790's gorgeous skin and post-transplant infection. 70% of all personnel report the onset of tissue necrosis at the grafting site and the surrounding area, indicating that their bodies recognize the imperfection of their own skin and are removing them for 2790's skin. Additionally, 2790’s morale and site morale have increased dramatically. His breach rate has also decreased from 0 breaches per day to 0. Given the strong success rate of the preliminary tests, more skin is being produced and all personnel are being prepared to undergo the grafting procedure. As of 10/21/██, all personnel in Site-54 have undergone the grafting procedure to their hands. 2790’s breach rate has decreased to an unprecedented 0 breaches per day and his morale has increased dramatically. All personnel report feeling closer and more connected to him, citing the ability to rub the entire body with SCP-2790's skin. To further reduce the breach rate, plans are being made to totally replace the rough, monstrous skin of all personnel with 2790’s gorgeous skin. NOTE: Site-54 has been quarantined at this time and is inaccessible. As the page for SCP-2790's documentation has been locked from Site-54, it has been retained to illustrate the necessity of all memetic, infohazardous, and cognitohazardous screening protocols when acquiring new SCPs despite the inconvenience posed by said protocols.